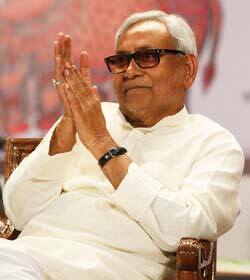 Bihar chief minister Nitish Kumar is an archetypal Indian socialist, a Lohiaite whose tribe is practically extinct. In his personal life, he is extremely austere. In his political life, he is seen to be making Faustian bargains. What does he stand for? In a free-wheeling interview with Ajay Singh, he reveals his mind. Let me start by asking what difference do you find in working with a BJP-led government headed by Vajpayee and now by Narendra Modi? The obvious difference is that in Vajpayee’s time, the BJP did not win majority on its own. Now they have won a majority. That redefines the relationship of a coalition. You started your political career as an ardent follower of Ram Manohar Lohia. Today, you are the leading ‘socialist’ and Lohia-ite leader of your generation. How did your fascination with Lohia start? I was attracted to Lohia-ji while working along with my father, who was a Vaidya (ayurvedic medical practitioner). I used to prepare pudiya (small packets for medicine) for patients when I heard about Dr Lohia. He was critical of Nehru, Indira Gandhi and the Congress. I would read all news related to Dr Lohia to know more about him. He came to Bihar in 1967, when he emphasised consolidation of the backwards and urged all socialist leaders to lead by example. During that phase, I heard him speak at the Gandhi Maidan (in Patna) and got attracted to his political ideology. In the 1960s, there were other alternatives to the Congress too, for example, the Rashtriya Swayamsevak Sangh (RSS) and the Bharatiya Jana Sangh (BJS). What prompted you to choose socialism over them? The charm of socialism was seductive. There were many bright leaders who followed Lohia’s subversive political theology with a human touch. He instructed socialist governments in Bihar and Uttar Pradesh to do exemplary work for the welfare of people. But the problem with socialists was that, though they were individually bright, they could not work as an organisation. Socialism provided the fulcrum for anti-Congress forces against Indira Gandhi in the mid-70s and later against Rajiv Gandhi in 1989. But eventually it was the Sangh Parivar that took its place. How do you explain that? When you consider the devotion of pracharaks from the RSS-BJP and those of other constituents, you will realise the difference. People coming from distant parts of the country used to spend their lifetime in working for the organisation with selfless devotion. Most of them are very ordinary people but their commitment to the organisation is extraordinary. In the process, isn’t it the case that socialism has withered away in India? This is the most relevant ideology and will never wither away. Don’t equate failures of individuals with the failure of an ideology. There is no doubt that those claiming to belong to Indian socialism have failed. Look around and you will find those claiming themselves to be socialists turning the movement into family fiefdoms or promoting brazen casteism. This was hardly the socialism that Lohia espoused. In the name of socialism, we have offered political alternatives beset by corruption, criminality, casteism and nepotism. Lohia was an ardent supporter of OBC consolidation but he was never a casteist. Does Bihar, the cradle of Indian socialism, still have the potential to offer an alternative politics? Though I have been called names for my political alliances, I can say with confidence that we are governing Bihar according to the moral compass of Gandhi and Lohia. Look at the manner in which politics is creating hatred and divide. Look at the manner in which economic inequality has been consistently increasing. In Bihar we have tried to evolve a model of governance which has delivered a robust growth of nearly 11 percent along with a human face. Migration for work has declined as there are more opportunities within the state. Do you ever feel socialism has lost its relevance? Let me tell you in clear terms: this idea will always remain relevant and bounce back one day in the most powerful form. A new generation will come and take it forward sooner than later. The attraction of this idea is such that all parties, irrespective of their ideological moorings, still swear by it. I am totally optimistic that Indian socialism envisioned by Dr Lohia will live to see a glorious future. Isn’t it rather distressing that to stay in relevance, you have to either embrace Lalu, who symbolises corruption, or the BJP which is seen as communal? As I told you earlier, we (socialists) were handicapped by the lack of organisation on the ground. Some leaders pursued a perverse, casteist approach that was also a limiting factor. In my case, I am of the firm belief that I will compromise neither on corruption nor on communalism in Bihar. And I have never diluted this stance irrespective of the alliance we forged. The moment I face difficulty in upholding my commitment, I will call it a day. In my view, political power has to be used for the welfare of people and I am totally committed to this. You are also known to champion causes like social movements against liquor, dowry and child marriage. How does this impact your politics? Why do other parties not take up such issues? It is really unfortunate that these issues do not get adequate political attention. “This politics perfectly conforms to the notion of principled politics envisaged by Gandhi and Lohia. I am surprised at the reaction of those who equate alcohol consumption with fundamental rights. You do not have a fundamental right to consume liquor! Such people have no idea of the positive impact in rural areas of Bihar created by prohibition. Income is better spent for family welfare. Women are extremely happy. But isn’t it true that liquor is freely available in black market? Despite the existence of the Indian Penal code (IPC), crimes including murders have not stopped. You cannot stop crime altogether through enforcement. But you can certainly check prevalence of social ills arising out of consumption of liquor. Bihar is a better society after prohibition, and I am fully committed to continue with it. Initially I was told about the loss of revenue due to prohibition, but I am least interested in getting revenue through liquor sales. Similarly, I was also told that tourists would stop coming if prohibition was enforced. But we are getting the highest number of foreign tourists in the country. Coming back to socialism, don’t you think Congress president Rahul Gandhi’s manifesto promise of a basic income of '6,000 per month for the poorest families is a welcome socialist idea? It shows his clear lack of understanding of ground situation and how the government functions. The scheme would not only be un-implementable but also create the worst kind of distortions. The rich would get the benefit while the intended beneficiaries would be excluded. The problem with the Congress right since Pandit Nehru’s days is that they want to run with the hare and hunt with hounds. They ignored Gandhi’s emphasis on making villages prosperous, instead relied on heavy industry, big capital, and later returned to socialist sloganeering. That is hardly socialism. How do you evaluate prime minister Narendra Modi’s initiatives of providing electricity and cooking gas connections to the poor, cleanliness drive and health insurance cover of '5 lakh to 30 crore people? These initiatives are steps in the right direction. These steps deserve appreciation. All these measures are intended to benefit people and create a better society. We should appreciate the manner in which the Modi government covered a large population under formal banking and created a critical infrastructure for welfare measures. However, the banking system needs a serious improvement as it has degenerated into a corrupt and anti-poor system over the years. 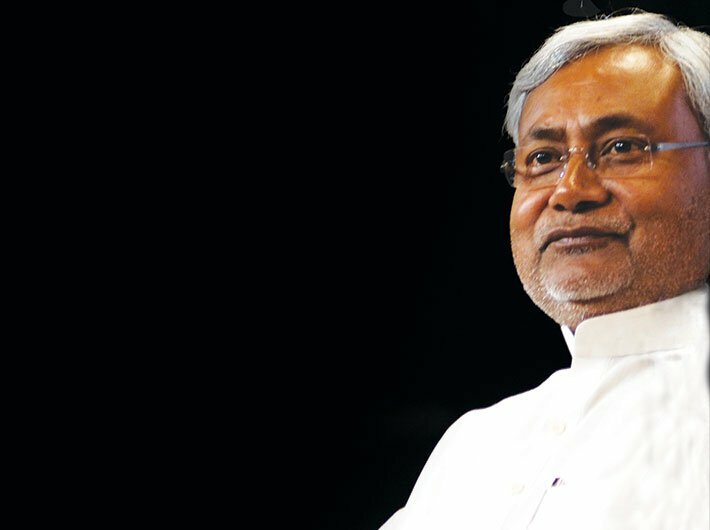 Can Bihar offer a politically viable model of governance for the country? Of course, we are working on a model which is equitable, just and socially harmonious. Given the wide economic disparity created by the greed of capitalism, Bihar offers a sustainable economic model which is propelled by a strong growth with adequate emphasis on overall improvement of society and environment. Along with growth, we have enhanced our green cover and initiated various measures to check ecological destruction by reckless developmental model.